Wii Fit's a guaranteed hit. In no way will it not sell millions of copies. So competitors (or imitators, if you're not feeling so kind) are bound to spring up. First off the bat? EA, of course, with EA Sports' boss Peter Moore identifying a gap in the market Wii Fit may not be addressing: bored women. We're watching very closely what the Wii Fit board does. We think we have to have a role to play with that mum - the kids have gone to school, she's got 45 minutes on her own, the Wii is there, it's the first console she's ever liked because she can do things herself. And we're working on stuff, trying to work out how we can use EA Sports applications there. 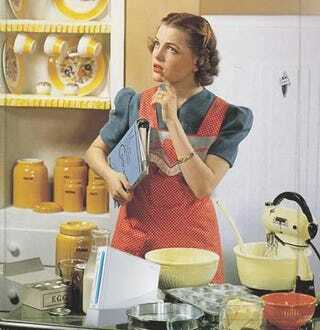 Easy Peter, she's not getting out of making hubby's lunch that easily. In terms of differentiating it from Nintendo's product, he's quick to point out any potential (well, inevitable) EA Sports Fit would be based more on what he calls "Western" fitness - as in stuff to make you sweat - rather than what he calls Wii Fit's "Eastern" fitness. Like stuff that has you sitting perfectly still.